Dr. Bill Roper discusses national and state healthcare challenges with Frank Stasio. Americans pay more per capita for healthcare than anywhere in the world, but the outcomes are far from the best. And when it comes to improving the system, the only thing experts agree on is that its complicated. The Affordable Care Act is an attempt at comprehensive reform. One way we'll be better off is people that don't have health insurance now, for whom we get zero dollars, we'll have a means to pay for it. Bill Roper knows healthcare as well as anyone. 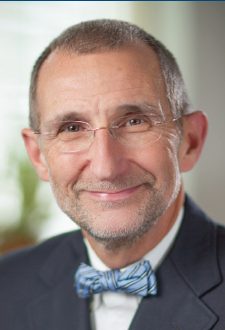 He's the Dean of the School of Medicine as well as leading UNC Health Care. He's worked on the insurer side, as senior vice president of Prudential HealthCare. He's also had federal positions, in the White House and as director of the Centers for Disease Control and Prevention. We pay a heavy price as a nation to the fact that no t everybody has access to healthcare in America. I know it's often said ... that we've got the world's finest healthcare system in America. The facts just are not that way. Yes we do have places in America that have the very best healthcare that the world can offer. One of which I am privileged to lead ... But on average the performance of the American healthcare system is not nearly as good as many other countries. And you can't just look at what happens to the people at the top of society or in the best of institutions, it's also what happens in the bottom of society and at the worst of institutions. It should matter to all of us, not just because of our compassion for our fellow human beings, [but because] we pay a heavy economic price for our dysfunctional healthcare system. I would have been much more focused on the cost of healthcare. I tried to persuade the Legislature and the Governor to go a different way. I do understand...they believed when making the decisions that there were so many problems with North Carolina's Medicaid program, that they just couldn't -- shouldn't -- expand it until they got those problems fixed. And that's a rational position. And it would be an economic boost to our state at a time when we are still struggling to get out of the recession that we've been in. I hope that in subsequent legislative session and beyond our state's leaders will revisit that issue. On President Obama's now-famous statement about Obamacare, "If you like your healthcare plan, you can keep your healthcare plan." I understand why he said it, but unfortunately it just isn't true, wasn't then, isn't now. Practically everything about healthcare needs to change, from who delivers it, to how they are organized together, to how we finance it, to where it's provided. All those things. We can't sneak up on the American people. We've got to have this kind of frank conversation with 301 million people and persuade them that it's in their interest long term to change. Senate lawmakers have passed a bill that would allow patients to compare prices for medical procedures. Senate Bill 473 would require hospitals to make the cost of common inpatient and outpatient procedures public. The Beat Making lab started as a class at the University of North Carolina at Chapel Hill. But its creators, Stephen Levitin – aka, Apple Juice Kid – and Pierce Freelon, quickly took it to a new level.